To best categorize their latest collection, Ogi Eyewear took an avant-garde approach and decided to release their new frames in three separate categories. The first category to be launched (drum roll, please!) is the Innovation Collection, which includes some of Ogi’s most fashion forward and elite models. 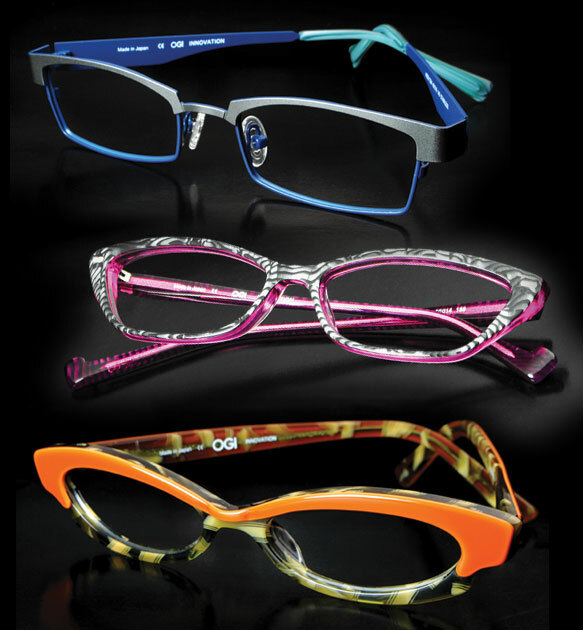 Bold colors, distinct shapes and sassy prints trademark this collection of frames. Inspired by the distinguishing elements of modern architecture, Innovation styles are engineered to step away from traditional design. What makes these specs especially unique is their use of punchy colors—like hot pink, electric blue and pumpkin orange—and mesmerizing graphics. All in all, we just can’t get enough of Ogi’s creative spin on these functional and fashionable glasses. Take time to peruse these fabulous frames and see which one fits your saucy style!